The local nonprofit Ski The Northwest Rockies (SNWR) association, which represents the Inland Northwest snow sports industry (including 49 Degrees North, Mount Spokane, Silver Mountain and Lookout Pass), has just released a smart phone app to assist you this ski season. 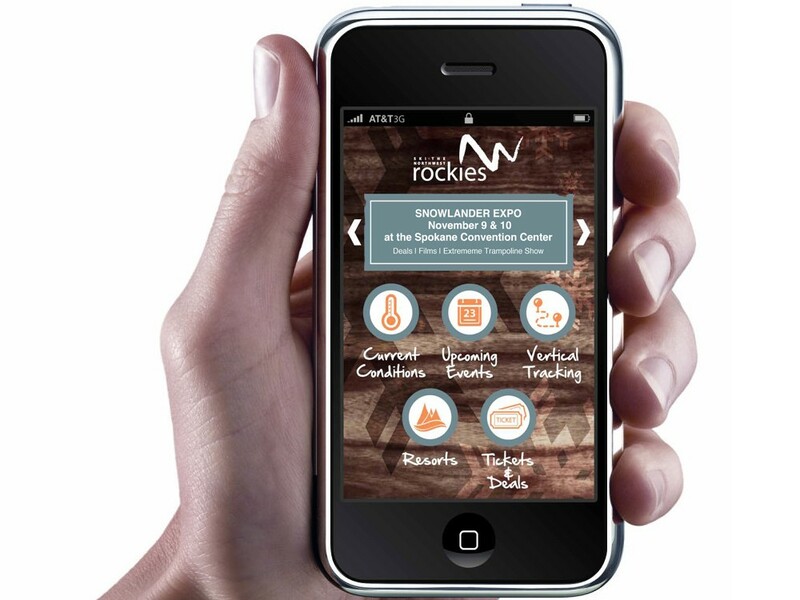 Titled “Ski the NW Rockies,” the app was produced by Spokane-based Zipline Interactive and is currently out for the iPhone, with Android availability coming soon. The app utilizes the smartphone’s GPS to determine your vertical descent while also monitoring max speed, distance and time per run. Information is stored and easily accessible through the app’s trendy displays, which log total vertical per day, week, month and season. Zipline has developed a product that is streamlined, efficient and easy to use, including instructions within the app itself in case users get confused. The app even posts your ski information on Facebook, so your friends can follow the amount of Gnar Gnar you’re thrashing. Other perks of the app include associated mountain conditions, updated every 15 minutes. The report includes temperature, weather (snow, rain, wind, etc. ), as well as reports on new snow, base and summit totals. The app also provides direct access to web cams, ticket purchasing and all four ski areas’ websites. Also included within the product is an upcoming events section specific to each mountain, updated throughout the season. This section also follows regional events off the mountain such as ski swaps and expos. The plethora of information accessible through the app will give the technologically addicted something to do on the ride up to the mountain. SNWR will also be hosting a contest in order to generate hype for their new app. Users will compete against each other to see who can log the most vertical throughout the 2012-13 season. Leader boards and overall standings will be available at each ski area. The contest will award prizes throughout the season. The grand prize is a ski pass for the 2013-14 ski season, or free skiing to all four mountains the following year. Each month there will be a snowboard given to the monthly winner, as well as other prizes throughout the season. The contest also includes mountain specific winners who will receive a Reel Camera. With free access to information on conditions, vertical tracking, and a chance to win big for simply hitting the slopes, the SNWR app is an asset to any local skier or rider.